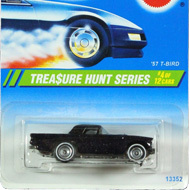 5/12 from the 1995 Treasure Hunt series. The Bug has fluorescent green paint and a red and white Hot Wheels license plate. 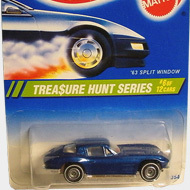 It has clear windows, a purple interior, purple Turbo Wheels, and an unpainted metal Malaysia base. 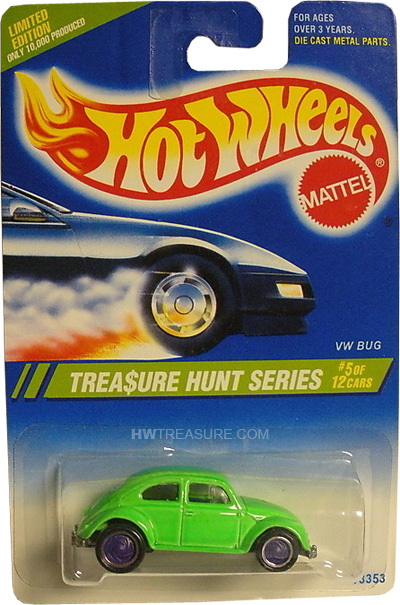 The VW Bug first appeared in the 1989 Hot Wheels series. It is based upon the 1953-1957 version of the Volkswagen Beetle.